There's still time to participate in Color Challenge 57! Remember, you don't have to have the EXACT colors to play. Just use colors inspired by the ones you see below. 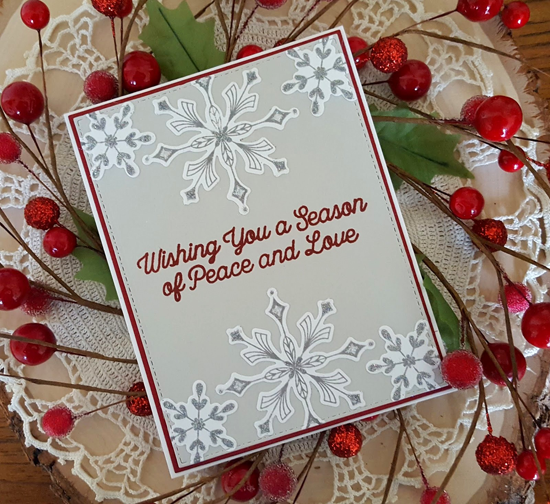 Rosemary D created this STUNNING Christmas greeting in the colors of challenge 57 using the Snowfall of Blessings and Simply Snowflakes stamp set. Heart. Eyes. Everything looks festive with a Santa hat on it — especially Cool Cats! 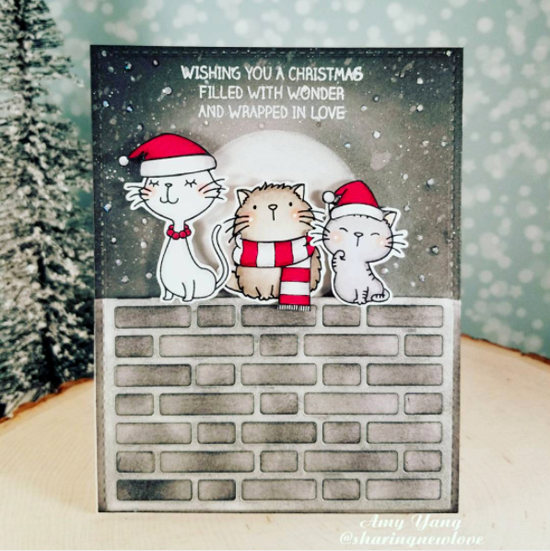 Amy Yang paired several Birdie Brown stamp sets to create this adorable design inspired by Color Challenge 57!